Introduction, History and Evolution and Organization is described under the section on General Information. In this section, the practical aspects of COPCORD are described. COPCORD does not have a firm policy document on this subject. The description is based on personal experience and knowledge (AC, Bhigwan India) and interactions with several COPCORD investigators. The reader is advised to read COPCORD publications (see another section in this website) to learn more. There are three stages to a COPCORD. The first stage comprises of three phases which are best completed concurrently. Note: Investigations (lab and X-Rays) have been carried out in selected cases as a component of Phase 3 in majority of the surveys. However, investigations have been featured as Phase 4 by some surveys. STAGE II: Identify Risk Factors and Incidence Cases, Impact Health Education. Pre-requisite: Who should lead a COPCORD? Though any doctor with an interest in musculoskeletal disorders and community medicine can conduct a COPCORD, a rheumatologist is best suited. Some prior fundamental knowledge about epidemiology and biostatistics is required especially if COPCORD Stages II and III are to be carried out. Though the program was conceived by WHO ILAR collaboration, permission is not required from any organization or institution. It is advisable to liaise with ILAR (International League of Associations for Rheumatology) COPCORD coordinator to obtain information and guidance. If the COPCORD investigator belongs to an APLAR (Asia Pacific League of Associations for Rheumatology) country, guidance can also be obtained from the APLAR COPCORD co-ordinator. Also, in the past, seed money grant was provided to the COPCORD investigator by ILAR/APLAR and the survey was monitored by an independent referee who was generally appointed by ILAR/APLAR Co-ordinator. However, due to certain re-organization in recent years, ILAR/APLAR have discontinued the practice of granting seed money. A referee experienced in COPCORD can be of critical assistance to an investigator beginning a maiden program. There are several issues of data collection which need to be addressed (best with the referee) so that the results of survey are robust (based on standard methods), reliable, meaningful and comparable (to other COPCORD surveys). The referee can be of immense help to prepare and present/publish results in peer reviewed journals. Area: The majority of completed surveys have been in a non randomized site selected by preference. In the latter case, a well defined geographical area (village or a town suburb) should be chosen. The latter could be driven by several important local factors ranging from ease of survey, easy access, co-operative administration and medical set up. However, for better representation, a randomized method for selection of COPCORD site is recommended. It should be remembered that the logistics of a randomized method are more difficult, cumbersome and challenging. Does the end result differ significantly? Logically, differences can be expected but nobody has carried such comparable studies for musculoskeletal pain and disorders (MSK). As COPCORD aims to identify common MSK in a community, the investigator should not hesitate to adopt a non randomized selection in the interest of a quick socioeconomically feasible survey. Depending upon the economics and logistics, the investigator may choose an urban and a rural site in a region for better capture of spectrum and extent of MSK. While choosing sites, the issue of ‘migration and temporary inhabitants’ should also be kept in mind. Population size: The size depends upon the expected prevalence of MSK in the community. Again, the search is for common disorders and not rare disorders like lupus and vasculitis. The current practice is to have a sampling frame size of about 3500-4000 population. If the sample size is less than 2500, the prevalence estimates of important inflammatory disorders like rheumatoid arthritis and seronegative spondyloarthritis may be underestimated. Team: COPCORD being a community program requires a well balanced multidiscipline team that gels well and works under a dynamic and encouraging leadership. Though the leadership is medical, the backbone of success lies with the paramedical (PM) staff and health workers (HW) who go from house to house during the survey. Besides a rheumatologist, medical graduates are required to carry out screening and related activities. A local community leader, preferably a doctor (from the COPCORD site), who knows the community well and is respected (by the community) should be identified well in advance and made a member of the team to advise and help co-ordinate the various survey activities. A PM/clinical research personnel with some experience in administration and finance can work as a ‘team manager/coordinator’. Who is a HW? Surveys in the past have used different personnel as HW-nurses, trained medical social workers and volunteers. HW volunteers should be trained in a focused workshop of 1-2 days on the methods required to carry out the survey, complete questionnaires and assist doctors. Educated young enthusiastic trained volunteers from the community and working under expert medical supervision/coordination can be of special value to complete surveys expeditiously. The team will also need laboratory technicians to collect blood samples. Personnel will also be required to enter survey data. A biostatistician, probably part time, can be a great asset and if feasible should be involved at the protocol writing stage much prior to beginning survey. A special modest dress code or even a single unique dress item (shirt/ cap) for the team can go a long way to suffuse a sense of commitment and pride. Protocol & Ethical Issues: A protocol should be prepared as a comprehensive document describing the site selection and population size, planned activities of the different phases of the survey, personnel involved and their job descriptions, planned investigations, time table/schedule of events, questionnaires and case record forms used, glossary of terms and classification of disorders and diseases. A community survey should be treated like a precise laboratory experiment which must be completed in time in a proper manner. Unlike a laboratory scenario, a survey involves much more human involvement and movement and encounters several unpredictable events and happenings. An astute investigator can try and fore see as many unpredictable events and variables and plan well in advance. This requires personal experience but more of interacting and seeking advice from peers, seniors, experts and local community leaders/doctors. The time table/schedule of events with reference to survey phases should be practical and binding on all concerned personnel. The protocol should be reviewed by the institutional scientific/ethic committee. Advice should be explicitly obtained on issues of ethic and patient consent. This is important if blood samples are to be taken from survey subjects and further stored for future investigations. Questionnaires (Qs): These are the heart and soul of the survey. The current Qs are described in a separate section and can be downloaded. Sufficient time should be spent on finalizing the Qs prior to beginning the survey. Phase 1 Qs: The aim is to identify respondents with current/past MSK pain who will be further assessed in phase 2. For easy comprehension, the questions can specifically ask for presence of joint and/or soft tissue pains. The Qs also collects general demographic data including occupation, religion and habits. Tobacco and trauma are important plausible risk factors and enough information should be collected. This phase also captures the self reported co-morbidity and this data can effectively demonstrate the overall supreme position of MSK burden in the community (as has been published from Pune Bhigwan India studies). Phase 2 Qs: The respondents volunteer detail information about their pain and MSK in this phase. Pain sites, past (prior to seven days) and present, are preferably marked on a human mannequin. The impact of pain/MSK as perceived by the respondent can be included. It is recommended that this phase also includes some measurement of impact on quality of life (QOL) using globally accepted and validated instruments like HAQ (health assessment questionnaire) and WHO-QOL. Data on local resources of treatment, including popular traditional medicinal practices, is also obtained. Phase 3 Qs: This is a typical rheumatology case record form (CRF). As COPCORD is largely driven by clinical cues and expertise, the CRF must be strongly oriented towards capturing clinical events and profile. A striking feature of all surveys completed till date have been the preponderance of non specific arthralgias and soft tissue aches and pains suggestive of some kind of a soft tissue rheumatism (not necessarily fibromyalgia) which are difficult to classify as per the norms of International Classification of Diseases (ICD). Several of the latter may be related to trauma or occupational overuse. To overcome such difficulties, Bhigwan India COPCORD came up with a ‘clinical classification of MSK disorders’ that would capture maximum information on NSA and STR and ensure comparability. The latter classification has since then been used in several COPCORD surveys. COPCORD core questionnaires (CCQ) have undergone an evolution as per existing experience and rheumatology knowledge. From very cumbersome lengthy Qs, they have been reduced to a computer data friendly capture of core information (enunciated at inception). The COPCORD investigator is advised to maintain the design of the phases and their core questions but has the freedom to add any more data questions that may be relevant and appropriate to the local scenario. The final CCQ to be used in the survey need to be translated into the local language and validated through pilot testing in the community (healthy subjects and subjects suffering from MSK and other disorders). In a similar vein, the investigator can use the regional rheumatology CRF as far as disorders defined clinically are captured. The latter does not prevent the use of internationally accepted classification criteria. How should the data be recorded in Qs? Should the subjects enter the data or should it be filled through interviews by the HW. There are disparate opinions on this subject in the COPCORD literature. Overall, the surveys have followed what was comfortable to the community. But this should be decided a-priori. Most of the surveys have allowed HW to complete the Qs in a face-face interview. It cannot be emphasized enough that the HW should not influence the answers of the community. The latter is a difficult proposition and is often neglected but should be adequately addressed by the investigator with the HW in their pre-survey training workshop. Finance & Sponsorship: Unfortunately, there are no central COPCORD funds available with either ILAR or APLAR at this point of time. Earlier a seed grant was provided to the investigator. However, a prospective investigator is advised to be in touch with these central agencies because newer organizations often have a different perspective on this subject. And funding COPCORD studies is a very critical proposition to help rheumatology find roots in the several developing economies in Asia, Africa and Latin America. COPCORD is about local thinking and regional resources. The majority of COPCORD investigators who have completed surveys till date have managed funds from regional philanthropic agencies with nil or minimal support from the pharmaceutics. The experts including rheumatologists have usually volunteered their time and expertise. But the rest of the team needs to be well paid. Finance planning also includes logistics (especially travel to COPCORD site), diagnosis investigations and ancillary services (data entry and statistical analysis). If the services of a referee or outside advisor are requisitioned, an additional budget will be required. COPCORD survey is a socioeconomically appealing model and none should be dissuaded by the challenge of raising funds to complete the task. BJD India recently raised central funds from their corporate partners (pharma sector) to fund COPCORD surveys in 12 sites all over India. Not much has been published on the cost of COPCORD.. The expenditure of the first three years of Bhigwan India COPCORD was less than USD2 per person in the village (Clin Rheumatol 2006, 25: 443-7). Pre-survey Activities: Besides planning, training and rehearsal, and translating key Qs, there are several other important activities that an investigator and key personnel can undertake prior to the survey. The community and local doctors in particular needs to be well informed about the upcoming survey. Meetings should be held with community leaders and medical fraternity. The latter must include local administration. Distribution of some basic information in small pamphlets by conducting a rally just a day or two prior to the beginning of the survey may be useful to sensitize the community. Central site should be chosen for Phase 3 rheumatology examination of respondents. As rheumatology is a sub served specialty, continuing medical education program can be conducted for the local/regional doctors and COPCORD introduced. The local media should be involved in providing information to the community. The COPCORD team should carry out a thorough reconnaissance of the COPCORD site. Also, information on the community KAP (knowledge, attitude and practices) should be obtained which can be of immense help in planning survey and preparing protocol. It may also be extremely useful for the investigator to visit a completed COPCORD survey site and obtain first hand practical information. Prior to initiating national COPCORD surveys at 12 sites, BJD India sponsored several 2 day COPCORD training workshops on a regional basis for the new investigators. The latter was conducted by senior and experienced COPCORD investigators. Conducting Survey: This should be like a military operation where each personnel know what he or she is expected to do within the time frame. The investigator should chalk out the entire program using time lines and geographical sketches and thoroughly discuss the plan and strategy with the entire team. The site can be divided into multiple zones. Each zone can be allotted a team of 2-3 HW; some for Phase 1 and other for Phase 2 so that the process continues smoothly and non-respondents are reduced to minimum. The HW must try and track down the potential respondent on at least 3 different days and time before declaring a non-respondent. Each team should have a team leader and given a realistic daily target for completion of Phase 1 and 2 Qs. Every day, a count of Qs completed by each HW should be done by the team manager prior to disbursing daily remuneration. This ensures accountability and check of the quality of completed Qs. The medical team should begin their Phase 3 operation once enough Phase 2 respondents have been identified. In other words, all the three phases of the survey must proceed concurrently. Some of the subjects may require more than one visit to complete clinical evaluation. An easily accessible site in the community (a community hall, school or a Government run dispensary) should be chosen for Phase 3 evaluation. Private medical centers should be avoided. The medical team may have to make house visits to examine the very disabled and non ambulant subjects. A good coordination is required between HW and medical team to ensure speedy and timely evaluation of Phase 2 respondents. Community surveys cannot linger on. They must move speedily in a well coordinated smooth manner. This ensures the enthusiasm of the community and the COPCORD team. Remember the community is also watching and assessing the survey. It will provide better support if the team displays a high level of commitment and serious professional performance. Every team member must work with enthusiasm to help the subject eventually feel and get better. The community must stand benefited from the survey and in this regard the medical team has to devote enough attention to each respondent in trying to understand the MSK problem and advise remedy. The community is not all that interested in the academics and data of the survey. It seeks attention from the medical faculty and relief from the MSK pain and disability. But above all, the scientific merit of the survey data improves if it is completed thoroughly and expeditiously. Acute events can be properly observed and captured. There are less non respondents. As the doctors work neck to neck with the HW, the team spirit remains high. Finally, this leads to better logistics and economics. It makes sense to employ a sufficiently large number of HW to spread quickly in the community from the time ‘go’ and acquire data. The investigator and the survey co-ordinator/manager must review the tally of Phases 1, 2 & 3 on a regular basis and collate the numbers with the population sample size target and timelines to identify any lag in the survey or lack of respondents. Lab & Imaging & Special Investigations: COPCORD is not an investigation intensive program. But a certain amount of investigations would be required in modern times to make sensible diagnosis of some of the myriad aches and pains that community suffers from. The extent of investigations would be dictated by the index of clinical suspicion and the budgetary allocation. But investigators can plan to preserve sera in deep freeze for future investigations. Blood samples need to be collected soon after the clinical examination is over at the Phase 3 site. Simple procedures like erythrocyte sedimentations rate and hemoglobin measurement, making peripheral smears, dipstick urine analysis and serum separation can be organized at the Phase 3 site itself. X-rays invariably means travel and HW would have to ensure that subjects are not unnecessarily inconvenienced when asked to get an X-ray done. Data Entry: It is prudent to add that data entry must begin as soon as possible after the survey has progressed sufficiently. This ensures good communication between HW and data entry operators in case of ineligible data or missing data. A Microsoft excel sheet is good enough for data entry in case a special soft ware (based on Qs in use) is not available. Longitudinal Phase: Stages II and III required special expertise of community and preventive medicine, public health, medical social sciences, epidemiology and biostatistics. It is prudent and practical to add that this is an expensive phase and requires prolonged dedication by the investigator and the team. Also, the community needs to be sensitized in a special manner. Inception cohort studies can be carried out to study and determine the natural history and risk determinants. Case (or even nested case) control studies can evaluate risk factors. Health education should be based on Stage I data and various popular community methods can be employed. In fact, basic health education on MSK pain and disorders should be imparted during Phase 3 of survey by trained team personnel and doctors. Repeat surveys can be carried out in time to determine the impact of COPCORD. Rheumatology Care Services: COPCORD was not meant to provide rheumatology treatment care services. Encouraged by the community and concerned with the woeful lack of basic rheumatology care in the region, Bhigwan India COPCORD for the first time provided free of cost rheumatology consultations to the patients and conducted intensive CME programs for the local doctors. The local doctors were taught how to handle rheumatology problems in general practice. 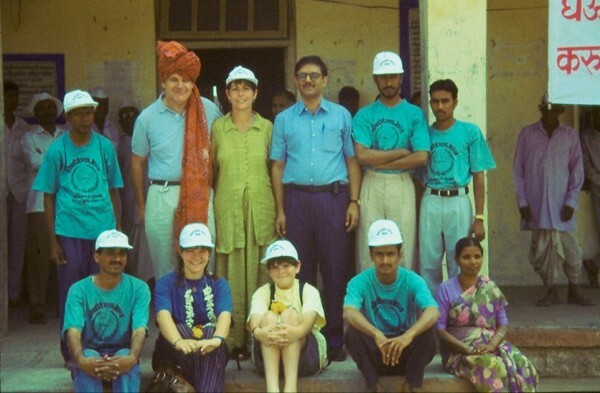 The latter was singularly responsible for an overwhelming community support and enthusiasm that drove the Bhigwan COPCORD into Stages II and III and expanded the COPCORD coverage to almost 200 villages with a combined population exceeding 200,000. Bhigwan COPCORD is currently in its 15th year of operation. All this has led to much discussion amongst COPCORD investigators on the subject but there is no consensus on whether COPCORD should extend its services. Therefore, it is not within the COPCORD ambit at this point of time to provide rheumatology treatment services although it is a laudable objective to consider.